Eurodollar has reached the group of local retracement, rebounded from them, and resumed falling. 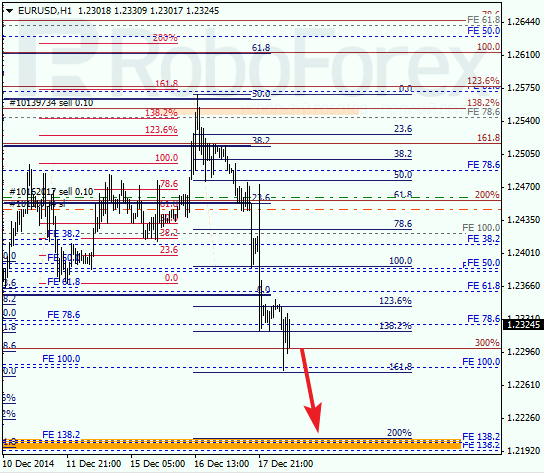 I’ve already moved the stop loss on my yesterday’s sell order to the level where the order was opened. In the future, I’m planning to increase my short position. 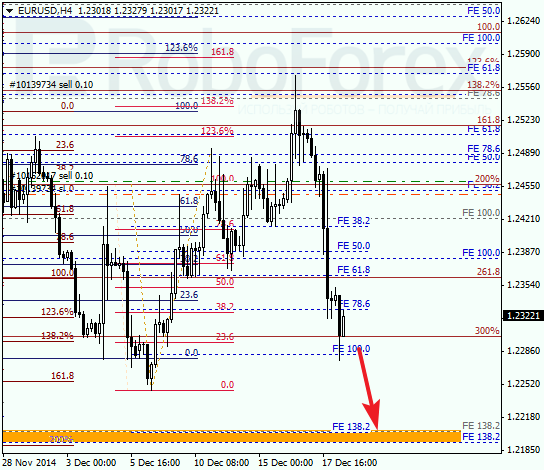 At the H1 chart, the upper target area, where the current correction finished, was confirmed by several local retracements. The main target is still the group of lower fibo-levels: the market may reach them until the end of this week. 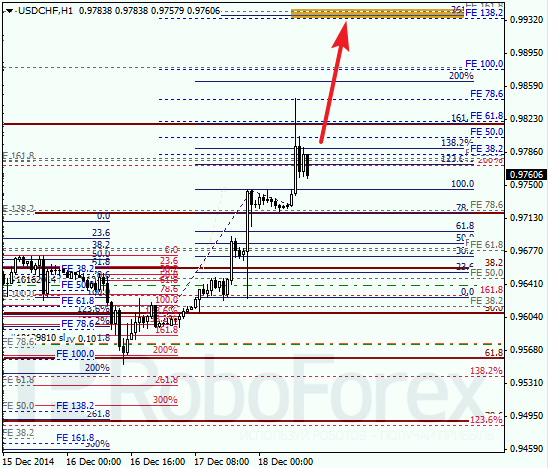 Franc has rebounded from retracement 61.8%, which was confirmed by local retracement. The stop loss on my yesterday’s buy order is already in breakeven. In the near term, the market is expected to continue growing. At the H1 chart, I’m planning to open another buy order after a local correction. The closest group of fibo-levels is at 0.9840. Possibly, the market may reach this target area until the end of the week.